Birdman (2014) is the last film by Alejandro Gonzalez Inarritu narrating the story of Riggan Thomson, former blockbuster film actor and who tries to become a theater actor. He will find himself questioning his talent and creativity while confronting his legitimacy as an actor and his search for recognition and love (by his family, the press, the public …). 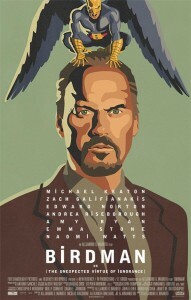 Birdman is all about mainstream cinema; the whole idea is to play on the similarities between the character of Riggan and Michael Keaton (Batman and Batman Returns), the actor who plays this character in the film. From a life of fame to sinking into oblivion. The duality between cinema (special effects, camera movements, multiple plans) and theater (no camera, staging, almost no effects) is at the heart of Birdman. Filmed almost entirely in a Broadway theater, it seems to have been shot in one long, single sequence shot in an absolute and smooth virtuosity. With no apparent cut, the action takes place uninterruptedly in the dressing rooms, corridors, stairs, stage and backstage. This choice of staging breaks down the barriers between stage and backstage, between fiction and reality but also between fantasy and reality. This is effective and the process reaches a high point when this long sequence shot also takes away the barrier between the rationality and the madness of the main character. This shot is inspired by tradition cinema (Soy Cuba by Kalazatov or Rope by Hitchcock). The staging is justified, this isn’t just there to impress the viewer. The music is diegetic, using only jazzy drums soun ds. This movie, through the use of this long sequence shot, the breaking of the fourth wall and its original music goes a long way in its suspension of disbelief. The acting is very good and sublimated by the subjugating Emma Stone who proves she can play with talent any role. Keaton is not outdone, this role was made for him, this movie being a parallel between Rigann Thomson’s life and his own life. This movie deals with artists inner fears, on their creations and the various interrogations related to it. But it also criticizes the Hollywood machinery with their blockbusters editorial line and our relationship to social medias. Birdman has the air of an independent movie, but it is made of high-end elements. We are simply carried away by the furious pace of the long sequence shot and the music, the spectacle leaving us impressed and out of breath. 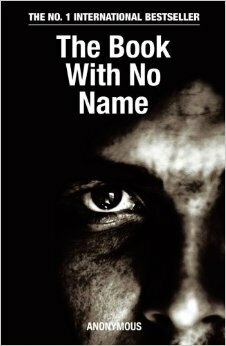 Ever heard of « The Book With No Name » ? You should. It’s the first novel of the Bourbon Kid series, written by an anonymous British author, who signs as Anon. It’s a thriller/horror sort of book, but more like « lots of blood everywhere » than scary stuff. It’s quite funny, in fact. 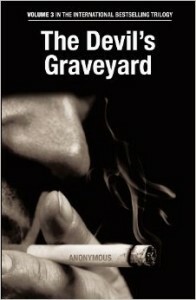 The book is about a serial killer known as the Bourbon Kid, who can be considered as an antihero of some sort. The story takes place in a city in a western-like scenery, which is flooded by supernatural creatures (and, unfortunately for them, simple humans). We follow a police officer trying to understand the gruesome deaths that have been happening around lately. Then switching to the point of view of other characters who are more or less aware of what’s happening and the consequences of their own actions. Each character is very interesting, and very different one from another, even if in the end you’d better not get attached to one of them, because death comes around swiftly ! To speak about the book itself, it is very easy to read, because it is more like oral rather than written language with complicated sentences. In fact, that’s the peculiar style of the series. Also, keep in mind that swear words are used quite often (let’s say they are a very big part of the book), and that fighting and dying scenes are very well described (picture a Tarantino movie put on paper, and you’re quite close to it). The humor and the crude reality of the events are basically what makes this book a must-read, and you won’t have time to tire of it ! 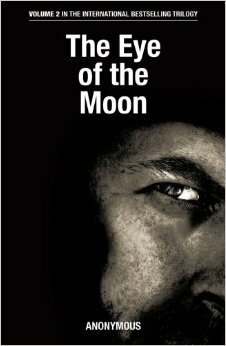 Up till now, it’s one of a series of four books : The Book With No Name, The Eye of the Moon, The Devil’s Graveyard and The Book of Death. I personally liked all of them, but the last one was a bit repetitive (or maybe one of the main character in it annoyed me a bit more than those in the others). Fans are very interested in seeing this book adapted as a movie (and what a show it would be ! ), but for now, there’s no information whether it is to be done or not. Even so, the Sojafilms website did a fan-made trailer for The Book With No Name and it’s really nice to watch, so if you have time, check it out ! It doesn’t spoil anything, thus it’s even an interesting way to understand the whole ambiance of the book if you want to be sure you will like it before reading it. Nearly 15 years after the brilliant Matrix and 5 years after the controversial but no less awesome Speed ​​Racer, Andy and Lana Wachowski have signed their comeback with the amazing science fiction movie Cloud Atlas. This film is a succession three levels : a spotless cast, a challenging screenplay and a set of stunning special effects (especially the makeup). 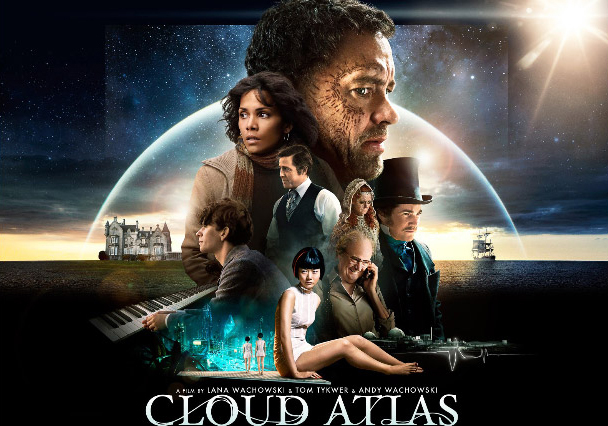 Cloud Atlas narrates six different stories set at different times. From the slave trade to the distant future, and through other shorter periods, the film offers us various and beautiful scenery worthy of the current blockbuster budgets, yet it’s an independent movie! Although these stories are distinct, they are linked by nearly invisible elements (a musical score, an absolute gem …), which create a slight but thrilling frame. All these stories speak of personal struggles with oneself, society or a mentor, everything leading to an assumed moral after a 3 hour-long movie. With a cast made ​​up of 13 leading actors such as Tom Hanks, Halle Berry, Hugo Weavin (Hello Mr. Smith!) or Hugh Grant, the directors conducted a feat never achieved before. Indeed, each of the 13 actors plays a different role according to the time period. The makeup manages to deceive us numerous times. The story is relatively dense since it consists of 6 stories spanning over five centuries. In these stories, beings meet from one life to the other, while their decisions have consequences on their course, in the past, in the present and in the future. A single act may have implications over several centuries and even cause a revolution. Everything is connected ! This could have been a big mess, lacking context and form, if the scenario and its division hadn’t been so well proportioned. The intertwining stories take us every time in a coherent universe that the spectator integrates and recognizes gradually. If at first you do not see where the three directors lead us, it happens later when the common elements of the stories appear. There is in Cloud Atlas a philosophical reflection on universal themes such as love, death, fate or the eternal cycle of history including cinematographic references (such as the 1973 classic movie Soylent Green by Richard Fleischer). However, it is mainly a movie revolving around individuals and their impact on History by the controversial butterfly effect. It is such a rich and challenging movie that it is quite difficult to truly appreciate its true value at the first viewing. For all these reasons, Cloud Atlas is a masterpiece extremely innovative and extremely controlled. Technically perfect, this movie, however, may put off some of the public by the apparent complexity of its narrative and its rich storyline. Without a doubt, this is a one of its kind movie that has so many qualities that it is already for me a true masterpiece. Three teams composed of Supinfogame students have been selected to participate in the French leg of Microsoft’s Imagine Cup 2015. The contest theme : to make a game with a message about making the world a better place. Next step, Boot camp. Only the strongest will survive ! Check out the links to the team’s blogs/facebook pages. In the game Willy the Wisp, you embody Willy, a spirit who takes pleasure in scaring malevolent visitors who come to steal the Manor’s treasures. Feed on intruders’ fear: Frighten them, bring furniture to life or invoke terrifying monsters to make them flee before they steal any artefacts! J.E.T. is a free-riding game, in which you play a rebel punk fighting giant ennemies and cleaning up the ground with Jetpack boots. We look forward to a full report from the guys when they get back, If they survive !!! Sebastien & Ryan will tell us all about it, if they can still speak !!! 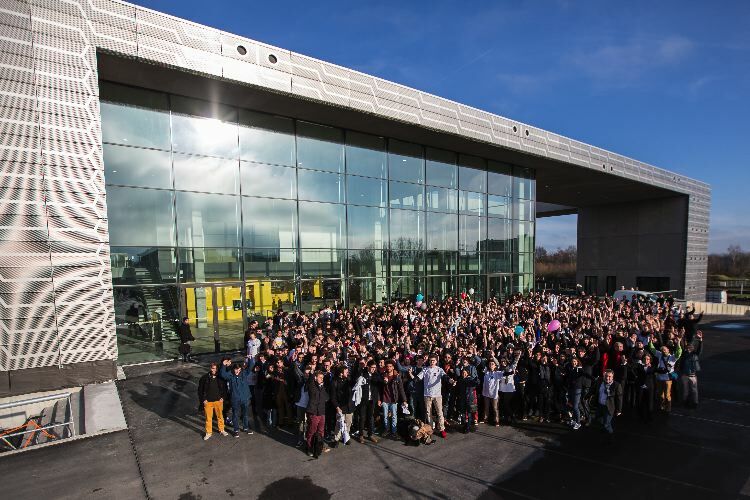 We’ve recently moved into our new campus: the ‘Serre Numérique’. All 3 Rubika schools (Supinfocom, Supinfogame and ISD) are now reunited in the same brand new building. Even though some of the construction work has yet to be finished, the Serre Numérique is already a great workplace for the students, the administration and the professionals in the field, who all took their marks very quickly. The “Serre Numérique” was in the Rubikapipelines for a long time.It’s much awaited state of the arts building has fantastic big classrooms and great facilities. Wanabee students got a chance to see our new campus on the open day. We look forward to creating and enjoying many new gaming experiences on our brand new site. More breaking news to follow ! 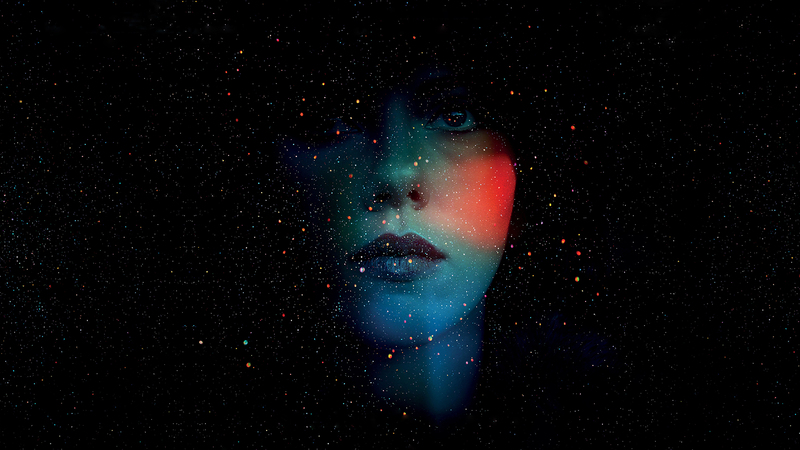 Under The Skin is a British science-fiction movie directed by Jonathan Glazer in 2013, starring Scarlett Johansson. The impressive artistic direction of Jonathan Glazer allows this movie to be captivating through this sublime but abstract visual world. The incredible rarity of dialogues, the pervasiveness of silences, cut by the exceptional, insidious and hypnotic music of Mica Levi (one might almost believe inspired by the music Lux Aeterna of 2001 : A Space Odyssey) give to this movie a very discordant texture plunging the viewer into a hypnotic trance. It thus consists of a deep reflexion on relations between men. This mysterious character discovers the world around her and her new body, gradually replacing its insensitivity by exploring sensations, first sexual then suffering. In short, it humanizes. After Her (Spike Jonze, 2013), Scarlett Johansson interprets the path from artificial perfection towards humanization. This film has its clichés ! Indeed, the scenario is worthy of a science-fiction movie but, this entire portion is totally secondary. There’s neither moral judgment nor good or bad characters, just humans experiencing emotions. Finally, this movie shows us dreamlike views of Glasgow where the human masses fascinate the main character and the audience, demonstrating a social analysis of the everyday lives of humans. This is a sensory movie with two different aesthetics: part documentary where the main character confronts mankind and a polished highly aesthetic part, the alien’s universe. In brief, this is a must-see movie which differs from classic Hollywood movies, a special and unique cinematographic experience ! If you want action, romance and a good laugh, check out Chuck ! Very few series are able to combine perfect action scenes with romantic and even funny scenes. Well, Chuck is one of them! The TV show tells a tale of a nerd, Chuck Bartowski, who discovers all the USA’s state secrets because of a former friend of his who turns out to be a spy. Obviously, the secrets he now knows are extremely important and that’s why the CIA and the NSA both send their best agents: Sarah Walker (CIA) and John Casey (NSA) in order to protect Chuck and the Intersect (the name of the computer, which downloaded the State secrets into Chuck’s mind). Together, they save the world several times during exciting missions while Chuck also protects his family from his second life as a spy. Most of all, Chuck is a comedy but also an action show. Some scenes are hilarious thanks to the great casting. Chuck (played by Zachary Levi) is really appealing and funny. His best friend Morgan (played by Joshua Gomez) keeps teaching us how to be a good friend while being uproarious. Even though Sarah and John (played by Yvonne Strahovski and Adam Baldwin) are supposed to be stone cold, we always manage to find some touching sides of their personalities, which is really enjoyable. What’s more, the show features some really good songs (like Don’t look back in anger – Oasis or hallengers – The New Pornographers…), which totally fit with the specific mood of each episode. To sum up, Chuck is an exceptional show that needs to be viewed if you ever wanna have a good laugh. The cast is great, the music presented is exceptional and the series isn’t a basic comedy. It manages to ally an action aspect with some romantic elements and a funny background. The show doesn’t hesitate to use and abuse (for our own sake) cultural references much to the many viewers.